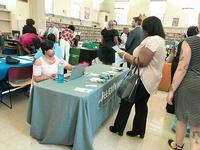 Did you know that nearly a third of library users visit the Free Library of Philadelphia to look for a new job or learn new skills? This revealing finding was reported in the Free Library’s December 2017 Impact Evaluation Report. 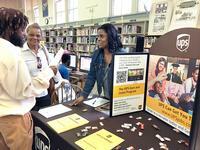 We supports job seekers with computers and internet access, résumé assistance, job fairs, and more! But what about the job seeker who is looking to upgrade skills or even change careers? Or is not proficient in English or lacks literacy skills? Or needs to learn how to use a computer? 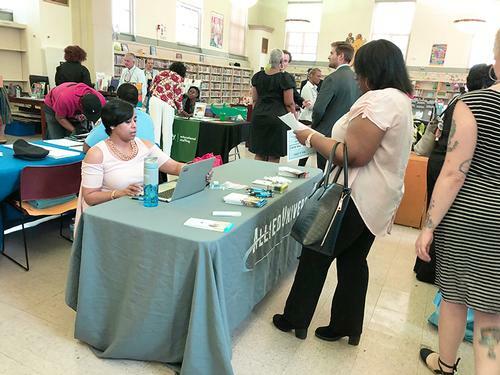 The Free Library now serves them too, through the Paschalville Partnership, a collaboration of 11 organizations working to transform services for job seekers living in Southwest Philadelphia. Following the principles of "collective impact," this unique Free Library-led initiative is working to expand literacy, English-language skills for non-native speakers, job-skills, computer-aptitude and access, and more for the community served by Paschalville Library. Close to 250 adults—both native and non-native English speakers—have undergone assessment at the myPLACE campus located at Southwest CDC and supported by the Office of Adult Education; two-thirds of this group went on to enroll in a class in the community or online. You can read more about the Paschalville Partnership’s work and our progress-to-date in our newly released, second annual State of the Community Report. We are also pleased to announce Paschalville Partnership 2.0. Thanks to a second IMLS grant awarded to the Free Library, the Partnership will form a Resident Consultant Team (RCT) to research community assets and needs and develop new plans of action. 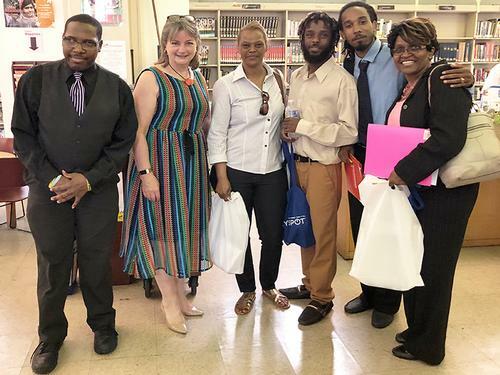 The RCT’s work will take our organizational collaborative infrastructure to the next level by empowering residents to take charge of their employment prospects and to work together to promote economic opportunity for the whole community. You can read more about this exciting project in a press release issued by IMLS’s Community Catalyst Initiative, which is funding our work. Siobhan Reardon (second from left) with recent Boot Camp graduates.